"The suspect ran from the jewelry store while wearing the watch," says the police. The suspect is seen running towards the camera. It was a New Year's Eve scare for shoppers at a mall in the city of Sunrise in Florida, USA, when what sounded like gunshots rang inside the building. As it turns out, those 'gunshots' were actually fireworks set off inside the Sawgrass Mills Mall as a distraction tactic so thieves could make off with a Rolex luxury watch worth $11,400 or approximately Rs 7 lakh. The City of Sunrise Police Department shared CCTV footage of the thief running off with the watch on their Facebook and Twitter pages. "Surveillance footage of suspect (seen running towards camera in video) who stole a Rolex watch valued at $11,400.00. 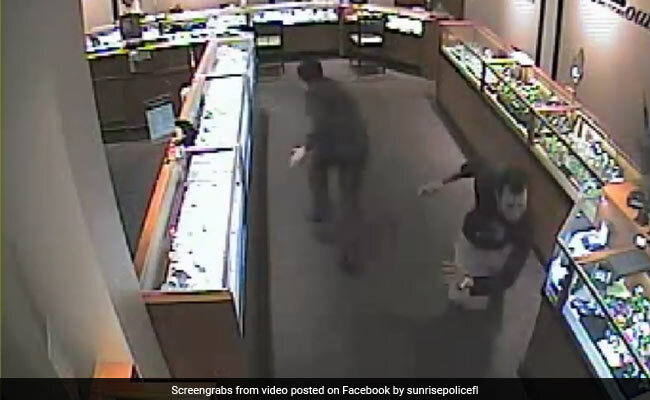 The suspect ran from the Zales Jewelry store while wearing the watch after an unknown second suspect set off fireworks outside the store in the mall area," wrote Sunrise Police on Twitter. According to local reports, shoppers at the mall ran after hearing the fireworks, thinking shots had been fired. However, nobody was reported injured and the mall reopened after an hour.